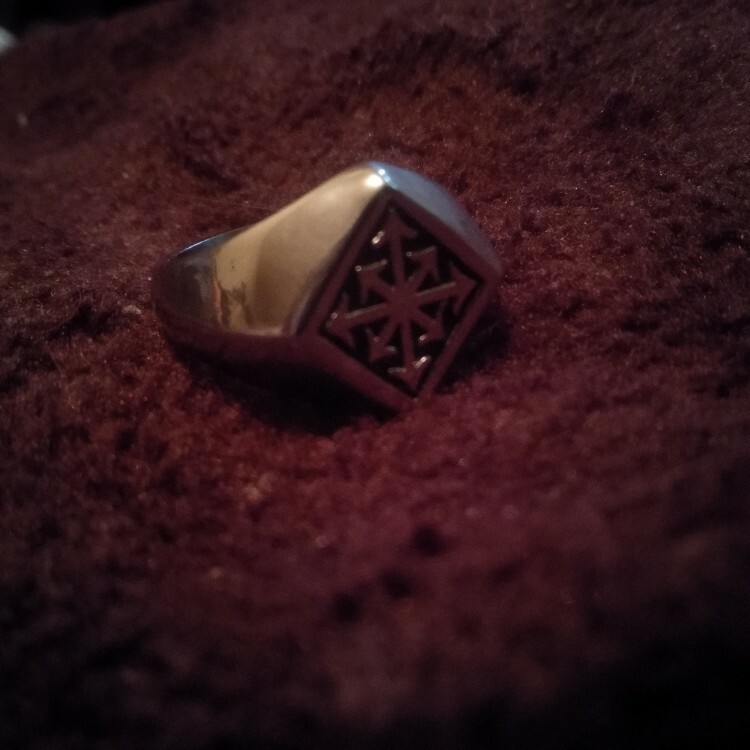 From ELFASIO comes this trendy gothic style, eight point chaos symbol themed ring for men and women. Great for casual occasions such as parties, Cosplay, everyday wear, etc. The ring is made from high quality 316L stainless steel, resistant to corrosion and is tarnish free. Into the ring is engraved the eight point Chaos star with a black and silver colour. 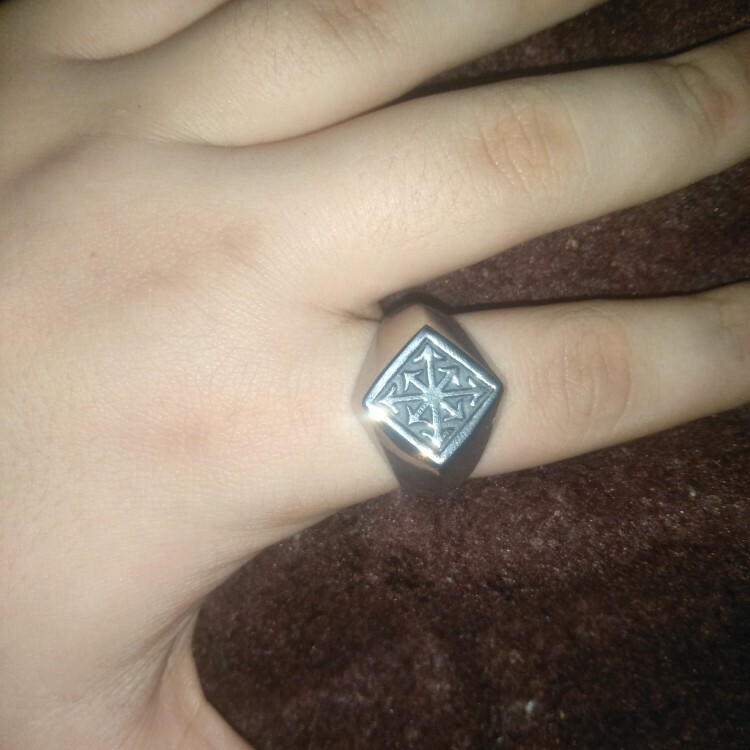 The result is an awesome looking ring. Available in nine different sizes (7, 8, 9, 10, 11, 12, 13, 14, 15). Would make an excellent gift for friends, loved ones and family.